I first met Sara Hagerty at my friend Claire's house here in Charlottesville. I'd recently moved to the city, and Sara had recently moved away from Virginia, and I remember thinking I'd missed getting to know a treasure. 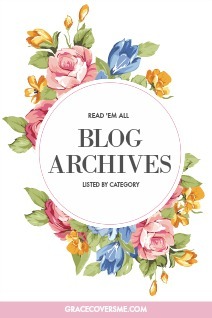 In the years since, our mutual friend Claire passed away, and Sara and I have connected over missing her and over writing. My latest book, Messy Beautiful Friendship, is dedicated to Claire, as is Sara's beautiful new book, Unseen. 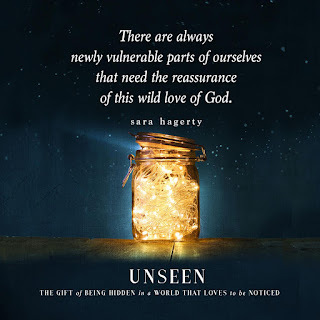 Unseen: The Gift of Being Hidden in a World That Loves to Be Noticed released just last week, and I'm thrilled to share it with you today. As I've recently written, this past year I've struggled with feeling invisible and overlooked. What a treasure, then, to read Unseen and reflect on the idea that perhaps God has tucked me away for his good purposes and for delightful intimacy with Him. Enjoy an excerpt from the book below and then go grab a copy of the book yourself. It will bless you. The routine of my mothering days is patterned and circular. Wake, prepare breakfast, clean up breakfast, prepare lunch, clean up lunch, plan for dinner. Set the table for several hungry bodies, clear the table. Reset. The same pair of Eden’s jeans goes from worn to washed to folded to worn multiple times in a week. We empty the diaper bin on the same day the next shipment of diapers arrives. Some might use a word like trapped to describe such an existence. I confess there are some weak days I might be tempted to also. Tears of former orphans fall and hearts move ever so slightly and the babe learns a new word—all in the eight hours that no one else sees. But these are just the little minutes between long hours of sweeping floors and turning off lights and tying shoes and wiping up drool. Is this all there is? pokes at me. My day might look different from yours, but I suspect the same question haunts you. At twenty-two, before children, I was telling high school students—future world changers—about Jesus. Stories of transformed lives made the long summer hours in the dining hall and weekday afternoons of ministry administration worth it. My life had purpose, purpose I could measure one life at a time. Today, with six children, I could coach myself in the same way and find the stories that make the tedium worth it. That point in the afternoon when I catch my little girl at the piano writing a song from her Bible makes me think, Something besides diapers is being changed around here. At least I’m not wasting my time. When I see four of them, with different histories of brokenness, spread out on their backs on the trampoline laughing between fits of jumping and squealing, I forget how long it took to prepare their dinner. 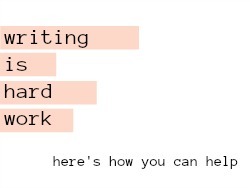 Maybe you do the same. We scout our days, you and me, for these stories that make it all worth it. We’re forever on the lookout for new ways to infuse our otherwise mundane lives with measurable impact. We troll for tiny signs that what we’re doing matters, a mark on the earth, whether in the glowing successes of our children or the business promotion or the ministry we launched. Parenting feels most like it’s worth it when we see our child thrive, and the business or ministry seems to most warrant our outpouring when it’s growing. But what if our real mark on earth was meant to reverberate in heaven? What if there is a possibility for impact—impacting God’s heart with our hidden devotion to Him—that far supersedes these this-made-it-all-worth-it moments? The mundane hours can outweigh the one this-made-it-all-worth-it moment in a week if we are meeting God and pouring ourselves out at His feet, there. What if right in the middle of that mundanity we could waste? Like Mary at Jesus’ feet. Without a vision for what’s available to us in sitting at His feet in the hidden place, we become restless. This restlessness is powerful enough to make us start new projects, sign up to volunteer, begin foundations, delve into new ministries. Many a small group is launched, blog written, and book published by ones who are itching to climb out of the hidden place. All these things can be beautiful within God’s timing. But out of time, they will only perpetuate the restlessness, the craving for the next “soul hit.” We become thrill seekers who miss the biggest thrill. We train ourselves to be satisfied with so little. And so God whispers to us, Don’t climb out of this hidden, mundane place—don’t start the foundation, run after a new ministry, defend yourself to your critics, start the next blog—just yet. Find Me. Here. Every single minute of the day is available for us to feel His hand resting, firmly, on the small of our backs and His breath brushing like a breeze against our skin, softly awakening us. His beauty is close, disruptively near. Every single minute is available for wasting ourselves at His feet. To reach the dwelling place, to see and know Him there, we need to allow for the quiet, the questions. We need to lean into, and not away from, what can come out of the aching hiddenness with God. The closet, the corner, the place where we’ve been hidden from the crowd is where God’s whisper becomes a life-changing brush with His love. All the waiting rooms in life, the wasteful places where the only question is, “When will I ever get out of this place?” are the places God loves to show us Himself. The waste of extravagant love we pour at Jesus’ feet is never squandered. That love expands us, it doesn’t diminish us. We weren’t made to ration our love. We were made for extravagance. 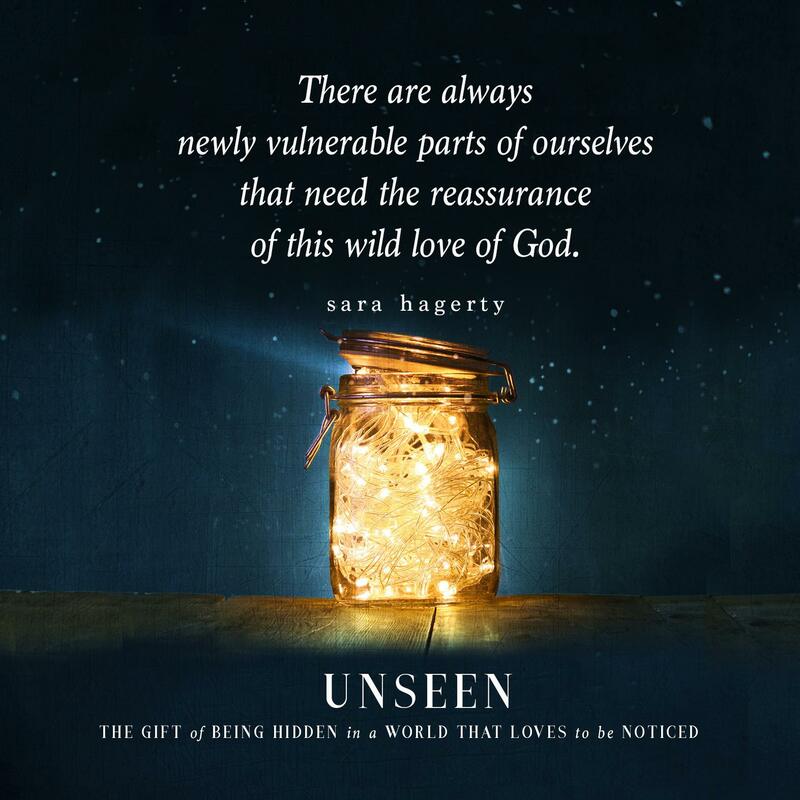 Friends, I think you'll find Sara's book, Unseen, beautiful and helpful to you in all the hours and days and years when you feel invisible. What I love about her writing is that she always points us back to the One who sees. 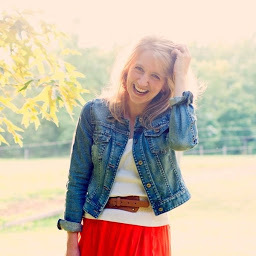 If you want to know more about Sara or her new book, find her over at www.sarahagerty.net or follow her adorations on Instagram.